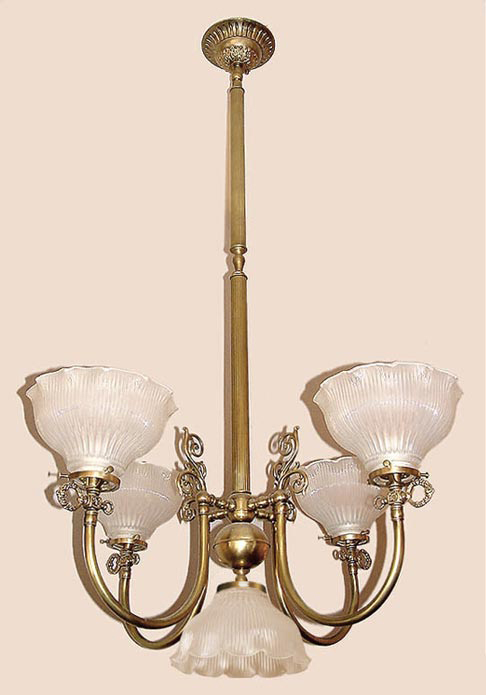 A 4 arm 5 light Old English Victorian in light antique brass. Complete, with faux gas key and pie crust prismatic shades. Gorgeous heavy cast backplate shares space nicely with the reeded tubing. This one includes an added downlight for that extra special location.